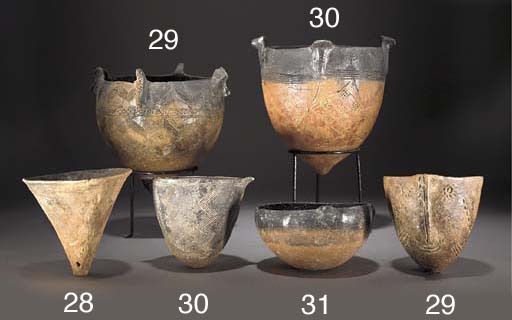 EARLY BRONZE AGE, CIRCA 2300-1900 B.C. Item one: The Ashmolean Museum, Oxford, 1985. The Art of Ancient Cyprus, pp. 159 and 162, pl. 188a (item one) and p. 72, pl. 125 (items two and three).